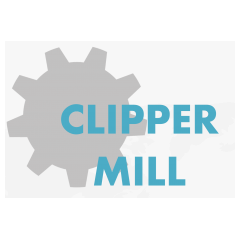 Hidden Gem in Woodberrysubmitted by Christopher P. - Dec 01, 2018 |Recommended: YesThe Clipper Mill Community is truly a hidden gem in Baltimore. The Clipper Mill apartments in the Assembly building are an excellence small, intimate apartment building. The community has a excellent pool, is close to the light rail, and bus stops, and within walking distance to The Avenue, Union Collective, and Druid Hill Park. The building has a secure parking lot and key fob access. I would highly recommend Clipper Mill apartments. response from property - Thank you Christopher! We love having you as a valued resident and hope you always feel right at home here in our community! response from property - Thank you so much! We appreciate the awesome review and please let us know if there is anything else we can do for you! response from property - Thank you for your feedback Brooke, we appreciate you taking the time to leave a review of our community. It's good to hear that your stay has been pleasant. Please let us know if there is anything else we can do for you! Modern living in an old world factory.submitted by Judy F. - Mar 27, 2018 |Recommended: YesModern apartment built into the shell of an old factory. All the modern conveniences with all the charm of the historic mill community. Friendly neighbors. Lovely private garden. The most spectacular pool. Don't feel like cooking, go across the street to one of the finest restaurants in Maryland. response from property - Thank you so much for your kind words! We love having you as a Resident at Clipper Mill! response from property - Thanks Nick! We appreciate you taking the time to rate our community and leave such an awesome review. Please let us know if there is anything else we can do for you and we would be happy to help! Beautiful community with unique apartments submitted by Emily M. - Mar 19, 2018 |Recommended: YesI've lived at Assembly for a year and have been happy with my apartment and the community. There is maintenance on site during the week, and the leasing agent, Lauren has been super helpful with any needs I've had. The warmer months tend to bring a lot more traffic to the area with Woodberry Kitchen and the glass gallery having weddings, but I've never had an issue with disturbances from it. This is apartment living, so I do hear my neighbors from time to time, but never anything intolerable, and certainly better than at other apartments I've lived. All in all, a great experience and I will most likely live here until I'm ready to buy. response from property - That's great, Emily! Thank you for the awesome review. We hope you continue to enjoy your stay here, and please let us know if there is anything else we can do for you!